As a practice, we are true believers that preventative care and education are the keys to optimal dental health. We strive to provide “dental health wellness care” vs. “disease care” through comprehensive examinations of your teeth and gum tissue, performing oral cancer screening, and taking x-rays when necessary. Following our recommendation of routine cleanings, flossing, sealants, and fluoride our patients experience great results in the prevention of dental disease. A periodic review of your medical history keeps us informed of your overall health and any new medications, and illnesses that may impact your dental health. As your dental health professionals, we want you to be confident knowing that we are a team of highly trained and skilled clinicians. 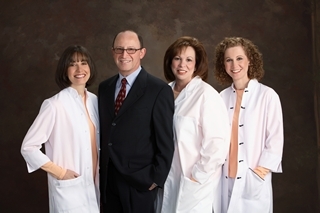 We pride ourselves in providing the care you need to keep your smile healthy and beautiful. To give you the best possible service and results, we are committed to continual education and learning. We attend lectures and conventions, participate in study groups and meetings, to stay informed of new techniques, the latest products and equipment that a modern dental office can utilize to provide state-of-the-art dental care.